Spam Mails are something that is most likely ignored. Understandable, it's mostly annoying, steals time and can do real damage. But by having a closer view at them, we can learn a lot about how our world is working and evolving. By putting the matter in a Room, I hope to bring the Spam Mails into the focus of the viewer. 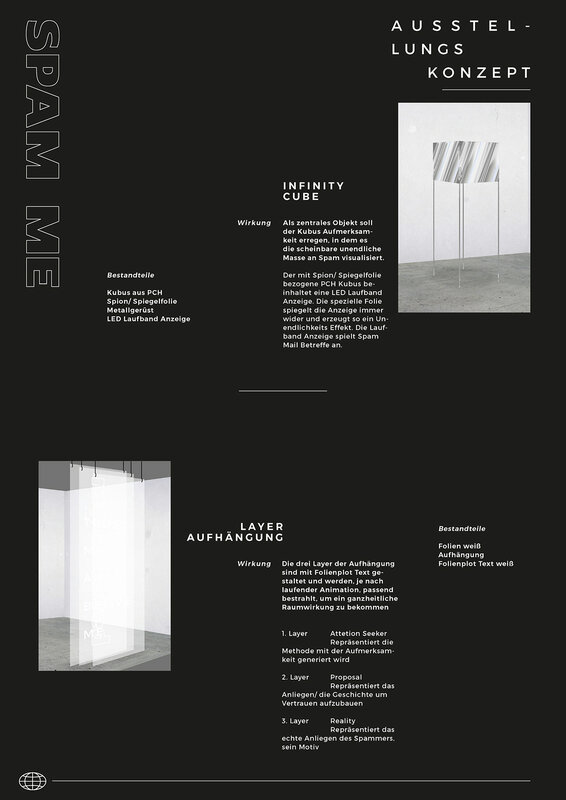 This Exhibition draws the attention to Spam with Installations like the Infinity cube with Spam Mail text, typographic wall hangings and projected animations that fill the room. 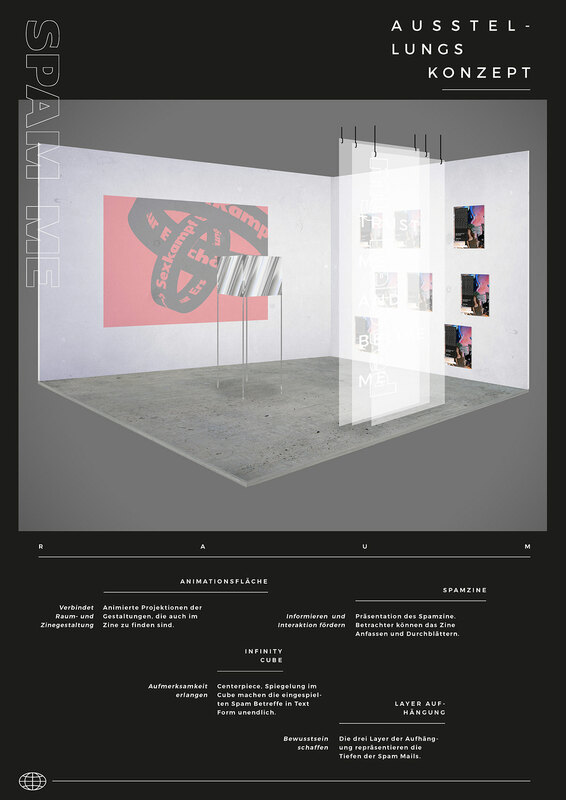 The Spamzine with information about Spam Mails is displayed and for sell.